Helping to make employees be even more efficient. 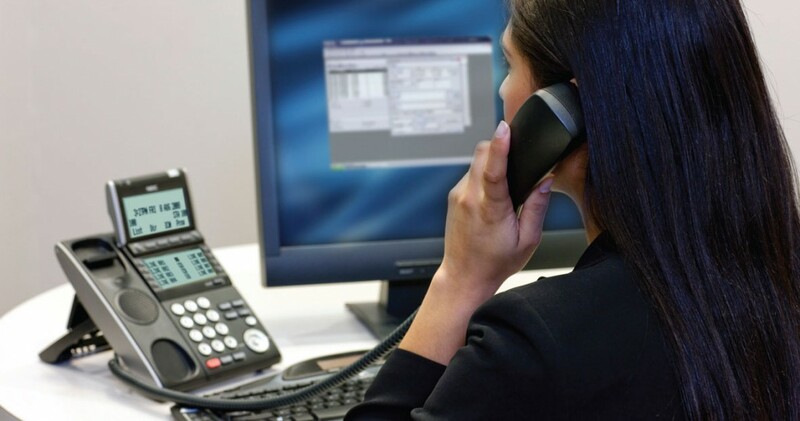 NEC’s UNIVERGE Digital Desktop Terminals (DT300 Series) helps employees be even more efficient in those organizations looking for exceptional value in a desktop phone. By offering a wide range of customizable features, the DT300 series meets the communication needs and environmental standards of any organization. Meanwhile, its modular design provides the opportunity to quickly and easily customize the phones to address each employee’s specific communication needs…now and into the future. The DT300 series is easy to use and sports a sleek, ergonomic design. Download the Brochure Specifications Contact us today! As your business expands, so do your communication needs. Your terminals should be able to grow with your business. With NEC’s UNIVERGE Desktop IP Terminals, there is no need to replace the entire terminal if you need new features. Instead, your initial investment is protected, and the terminal can be upgraded at minimal cost. As your business expands, so do your communication needs. Your terminals should be able to grow with your business. And, with NEC’s next generation terminals, you will have the capability to increase feature functionality through applications support and personalization of the phone. There is no need to replace the entire terminal if you need new features. Instead, your initial investment is protected, and the terminal can be upgraded at minimal cost. Advanced applications delivered directly to the desktop terminal enable staff to work more efficiently and improve customer service. The integration of voicemail, ACD and customer information applications helps minimize operator and other overhead costs. NEC’s terminal interfaces are designed to improve the overall user experience. NEC believes telephone users should not need extensive training or manuals to utilize business telephones. The NEC terminal interfaces are designed to be intuitive, allowing for effortless business communications.